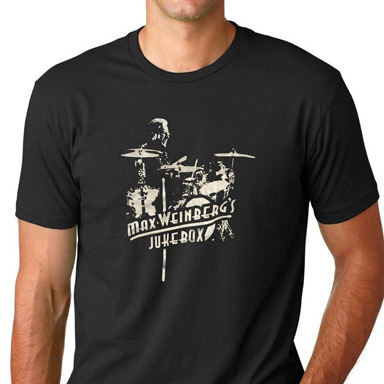 Max Weinberg has spent 43 years touring the world with Bruce Springsteen and the E Street Band. And in between his job with the Boss, the 66-year-old drummer managed to hold down a 17-year post as the bandleader for Conan O’Brien’s late night talk show. Turns out, he doesn’t do well with downtime. After finishing the 86-city “River” tour in February, the longtime E Street Band drummer was ready to try something new. 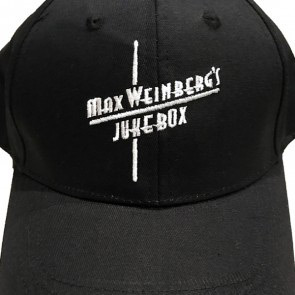 Enter Max Weinberg’s Jukebox, an interactive concert experience where the audience gets to pick the set list and hear Max and his revolving band play the tracks as they were meant to be played. Below, we caught up with the drumming legend to find out more about his latest tour, the destiny that brought him and Bruce Springsteen together and how he’s coping with the loss of some of music’s biggest legends. How was Max Weinberg’s Jukebox born? Who’s on stage with you? What are some of your most requested Bruce Springsteen songs? The music industry has lost so many legends lately from Tom Petty to David Bowie to Prince. Are you honoring those late artists through your show? Why do you think now more than ever are music and the arts so important? Bruce is known for his epic tours. How do you keep your stamina? Did you think when you answered that Village Voice ad at the age of 23 that you would end up where you are today? Is there anyone you wish you had the chance to jam with? “John Lennon comes to mind. I did see him crossing the street once in Manhattan in the ’70s. But I’ve been fortunate to play with so many people who I idolize and still do. You know specifically having the experience being the family music director on a late night TV show for 17 years, I’ve had the opportunity to perform with so many incredible artists and backing vocalists. How many big Bruce Springsteen and the E Street Band tours do you think you have left in you?